Children can easily learn the opening moves. 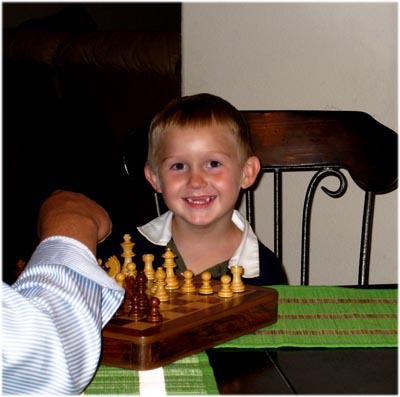 Chess may be for fun and blood, but for most of us, winning is not all that important. We like to win, of course, but the thrill of the game is almost just as good. Let’s take a look at a variation that’s easy to learn and one that will hopefully improve your game. The objectives are clear enough: control the center and attack the weakest square in the Black defense. That’s pretty much it. The center squares, of course, are those in the very center of the board, the squares in front of the king and queen. The player who can control these squares can get his pieces out quickly and attack with more force. Until Black has castled, his weak square is KB2, the square immediately left of the King. Since this square is protected only by the King, the square is the weak link in the Black defense. That’s the theory. Now, let’s see how the moves develop. In chess, you want to go for the gusto! And that’s what happening here. Each side is trying to acquire the center. White’s knight attacks a center pawn, and Black’s knight protects that pawn. That’s clear enough. And yet, White has an advantage. For one thing, White moves first and so, has the advantage of having the next move. That means that for awhile, White can dictate the game, at least the direction of the game. Another advantage here is the White’s knight is from the king sector of the board. Black’s knight is from the queen sector of the board. As a result, not only does White attack with his knight, but he also prepares to castle by moving that knight. Black, of course, is far from being able to castle, and his knight is passive. The Black knight defends; the White knight attacks. 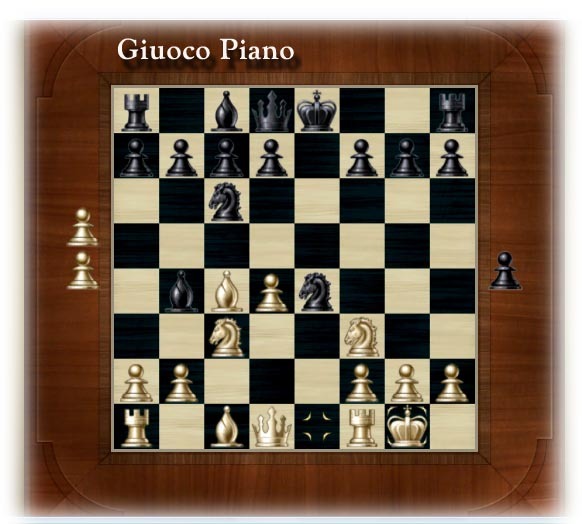 In an open game such as the Giuoco Piano, it is generally thought that a player should move his knight before he moves his bishop. And that what happens here. After the opening pawn move, the knight is placed into position, and then immediately followed by the bishop. Black, of course, responds by moving his bishop as well. Black wants to retain some sense of symmetry on the board. The symmetry will tend to cancel out a White attack, but of course, the symmetry cannot be continued forever. Eventually, the board will become unbalanced, and an attack will break out. That’s part of the fun of the game. As you can see, though, White’s bishop is taking aim at the weakest square in the Black defense. If we trace the diagonal, what we find is the vulnerable K-B2 square. Black cannot ignore the threat unless he intends to lose the game. Before we look at how Black can counter a full attack by White, we should notice that Black also has a threat here as well. If we trace the diagonal for the Black bishop, what we find is the vulnerable K-B2 square for White! If White is not careful, Black can unleash an attack. In fact, for centuries the vulnerable K-B2 square of White’s was somehow overlooked. 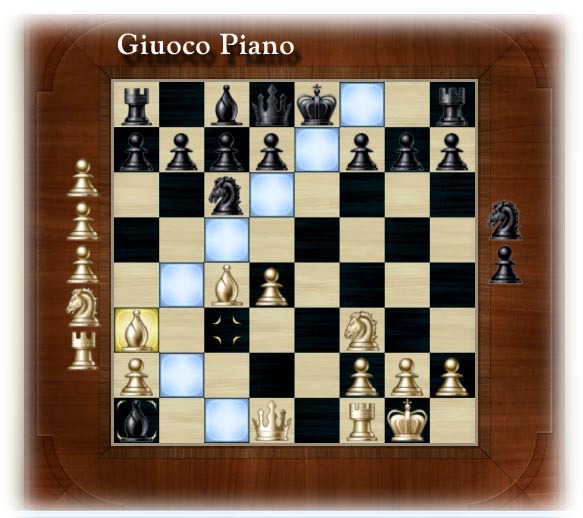 Recently, in an opening similar to the Giuoco Piano, Black was able to launch a counter-attack to White’s threat. That counter-attack was devastating. What we can say here is that White is threatening an attack, but Black is not without resources. White prepares to control the center. That’s the idea behind his pawn move. The next pawn move will be P-Q4 and Black will need to respond. Otherwise, White will have two center pawns and will control the vital board center. Since P-Q4 is still one move away, Black counter-attacks with Kt-B3 and by doing so, he attack the important King pawn square. White must do something. He can protect the pawn, or White can counter-attack with P-Q4. That is what he does in this version of the Giuoco Piano. 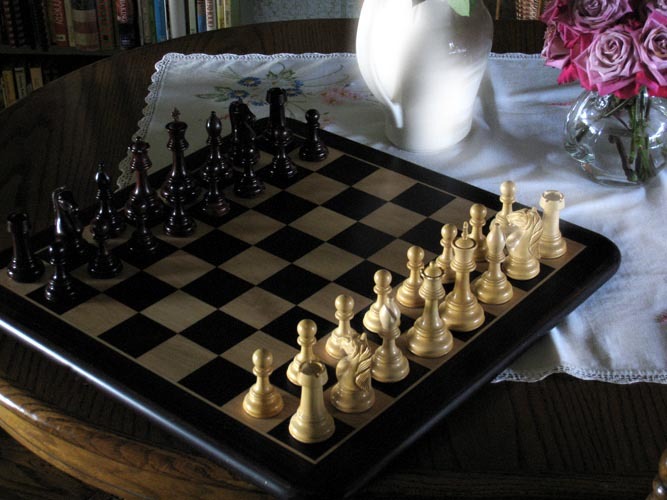 As a result, pawns are exchanged. Black next checks the White king. White blocks the attack with a Knight. Black captures the important King pawn and at the same time, attacks the pinned knight. It does not look good for White, at least on the surface. Let’s pause for a moment, and review the board. Black has begun an attack, but the Black king has not yet castled. As a result, the Black king is vulnerable to attack. If White can castle and thereby put his own king in a protected position, if White can position his Queen bishop so that Black cannot castle, White could begin a devastating attack on his own. That is exactly what happens. White castles to protect his king. Black has captured a rook, but now the Black King will soon be under check, and Black will not be able to castle. The White Queen Bishop controls the diagonal. White will capture the hapless Black bishop and press his advantage. 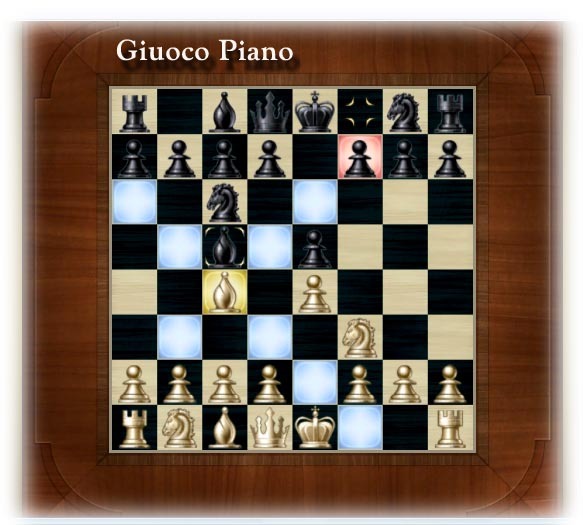 White will repeatedly attack the Black King. 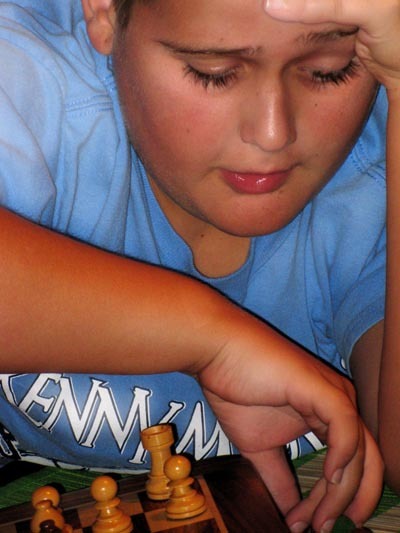 Chess is good for the soul. It is also a good way to interact with children. Indeed, children are naturally drawn to the game. 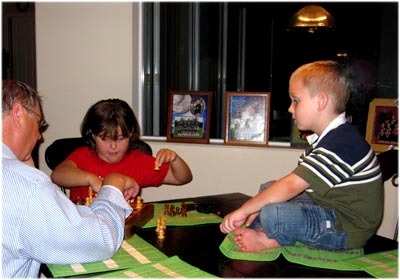 I rather suspect that children may enjoy the attention from adults as much as they enjoy learning the intricate moves. May you spend some time with your kids while they are young. May you live all the days of your life. Carpe diem. 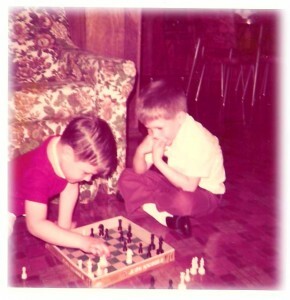 Two ruffians from a bygone era playing chess. La Marseillaise, the national anthem of France.